Microsoft Teams is a cloud-based chat and collaboration platform, designed to simplify group work. Whether you prefer any chat options available across the markets, if it is not user-friendly, it won’t make any sense. For being user-friendly, the first and foremost requirement is the notifications. Of course, you would not want the hassle of logging and checking into the app every moment. So, we all rely heavily on notifications on the chat to persuade us to open it. This ensures you are updated in the real time. 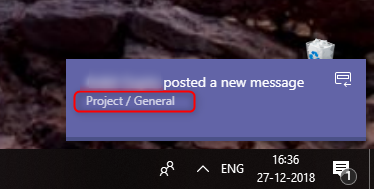 Such kind of wonderful notifications features is available in MS Teams. Now, having said this, let’s check out all the fabulous notification features one by one. 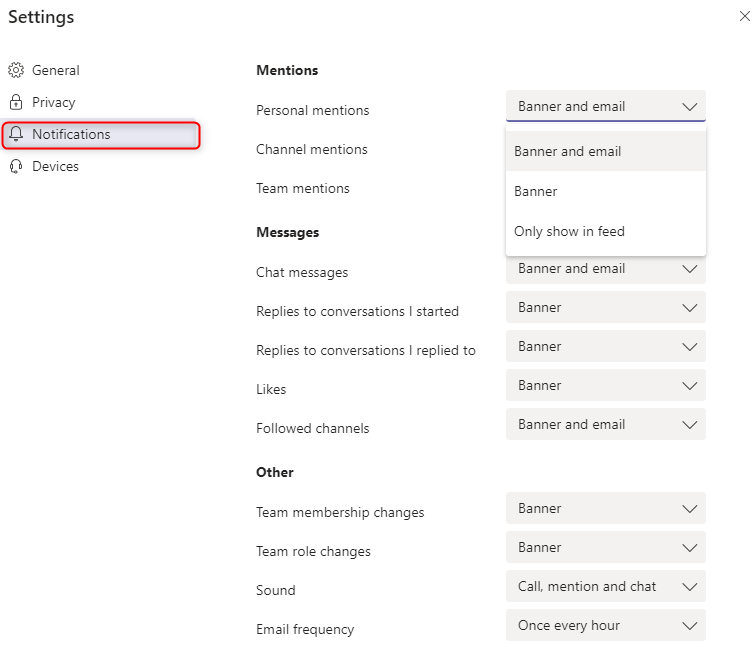 To turn ON notifications for any new activity or messages on channels in Microsoft Teams, you need to follow the channel. You will not be able to follow the Team (Team is a group of personnel’s together for work, projects, etc and team are made up of channels), so you need to follow the channels within that team. Once you follow the channel, for any new message or activity in the channel you will be getting a notification (see below image). You will be automatically getting the notification for one to one chat (see below image). To further customize your notification settings, click your profile picture at the right-hand top of the application and then click Settings > Notifications. 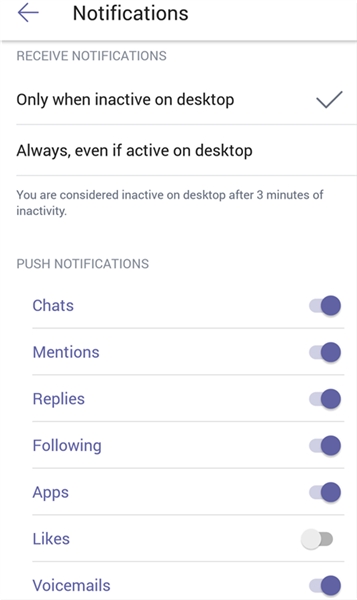 You can select, how you want your notifications from the given options (see below image). As we know that if we are in a Do not disturb mode, we do not get notifications for any messages. 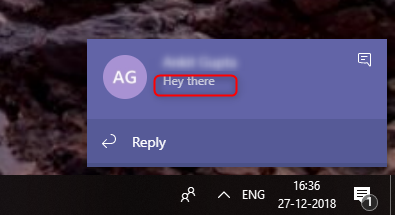 In Microsoft Teams, we have this feature that we can still receive notifications from people who have priority access when your status is Do not disturb. You just need to add those people to Manage priority access. 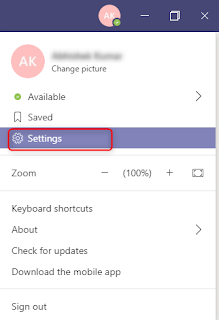 Click your profile picture at the right-hand top of the application and then click Settings > Privacy. Now, finally talking about Mobile notifications. 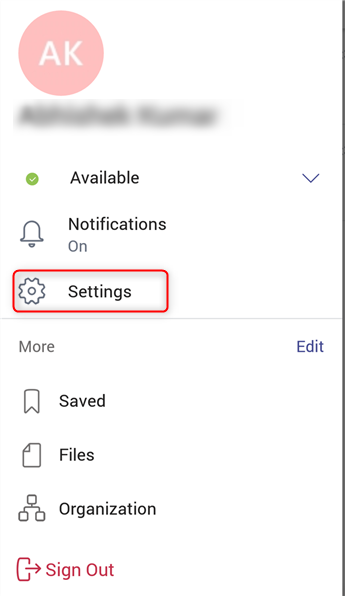 Turning ON notifications on MS Teams mobile app, go to the Menu (Hamburger button) option and then click on Settings > Notifications. And then you can select from given options on how you want the notifications. Hope this article helps you. Thanks! Activity alerts play a very important role while setting up Security & Compliance. 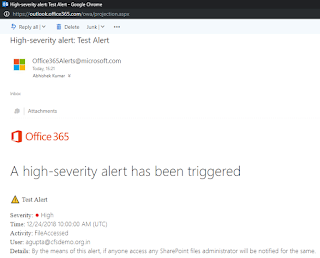 You can create an alert that will send you an email notification when users perform specific activities in Office 365. In this article, you can see how we can get alerts if someone accesses any document in SharePoint Online. 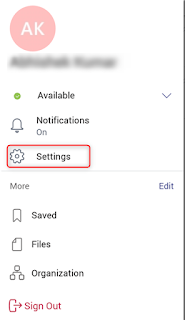 Similarly, you can also set alerts for different activities such as common user activities, file & folder activities, file sharing activities, synchronization activities & also for administration activities. 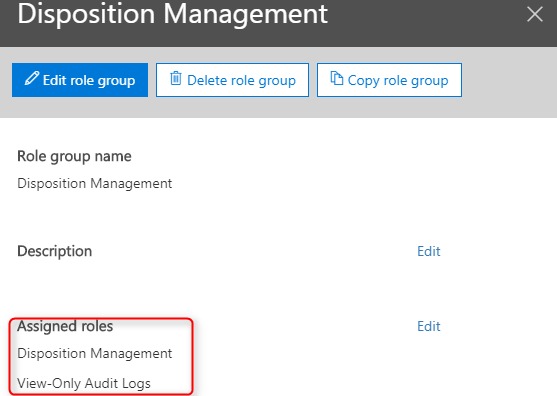 Difference between Alerts and Audit logs search in O365 Security & Compliance? 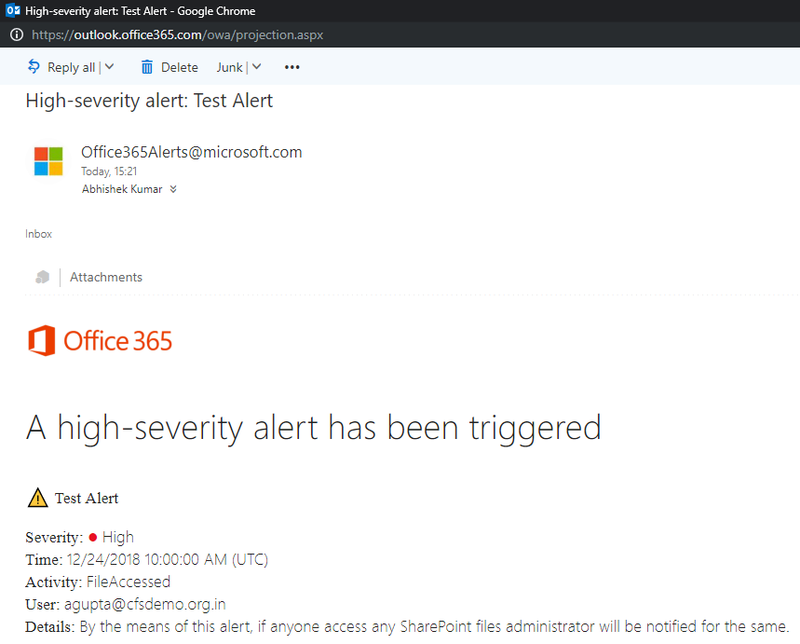 Activity alerts are similar to searching the Office 365 audit log for events, except that you'll be sent an email message when an event that you've created an alert for occurs. In Audit logs search, we can see the results as soon we search for it within the period of 90 days since the activity occurred (retention of the audit records depends on the subscription you have). 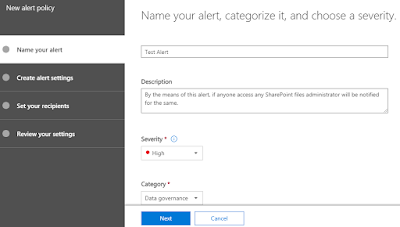 Name your alert, add description, severity & select category. You can also add a condition, for this alert. 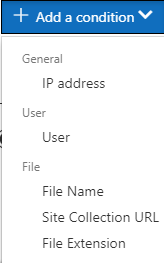 Such as in this case you can mention the Site Collection URL so that if the file is accessed in SharePoint Online from that Site Collection an alert will be triggered. After that click on NEXT. 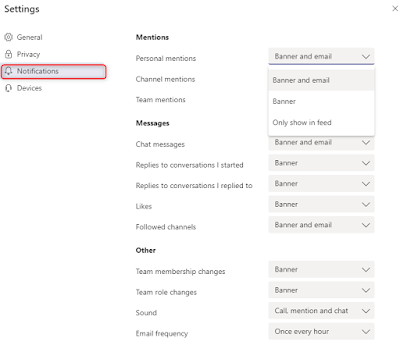 The last step is setting up your recipients & daily notification limits. You can choose a user to whom the alerts will be sent. After the alert is all set, you can now review your settings, turn ON the policy and click FINISH. 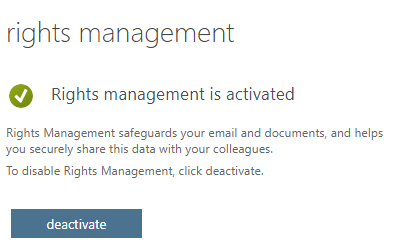 Alert result - If any user tries to access any file in SharePoint Online, the recipients (the user which has been mentioned as a recipient in the alert policy) will get an email notification (see below image). 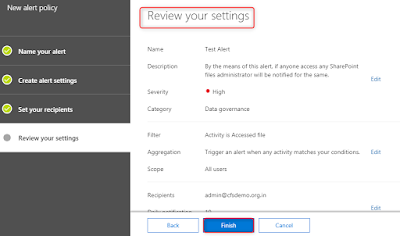 In this way, we can create different types of alert policies with respect to Security & Compliance of any organization and this is how you can monitor each activity within your organization. We can create alert policies for different activities like common user activities, file & folder activities, file sharing activities, synchronization activities & also for administration activities. 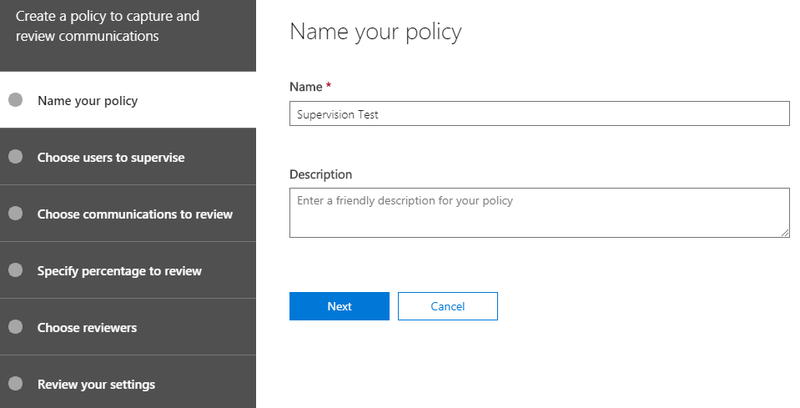 Supervision lets you define policies that capture email and 3rd-party communications in your organization so they can be examined by internal or external reviewers. For creating Supervision policy, one must make add himself to the Supervision review role group so that they can set up policies. 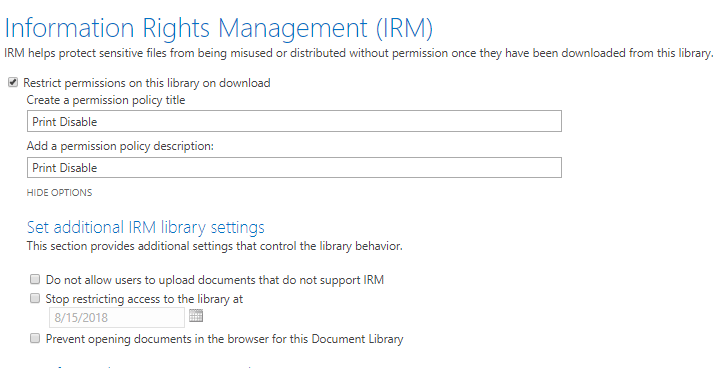 Go to Office 365 admin center > Security & Compliance > Permissions. 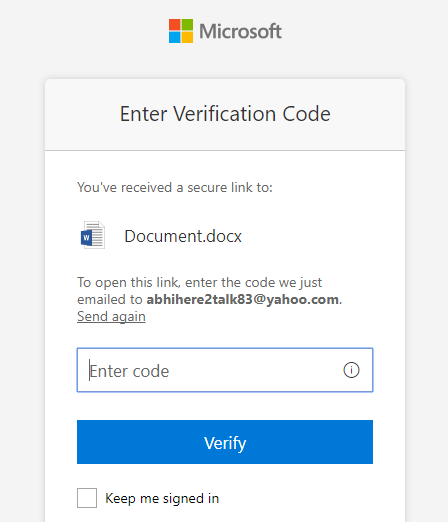 Sign in to https://protection.office.com with your Office 365 credentials. Go to Office 365 Security & Compliance > Data governance > Supervision. Click Create and then follow the wizard to set up the following pages of the policy. Enter a name and description for your policy. 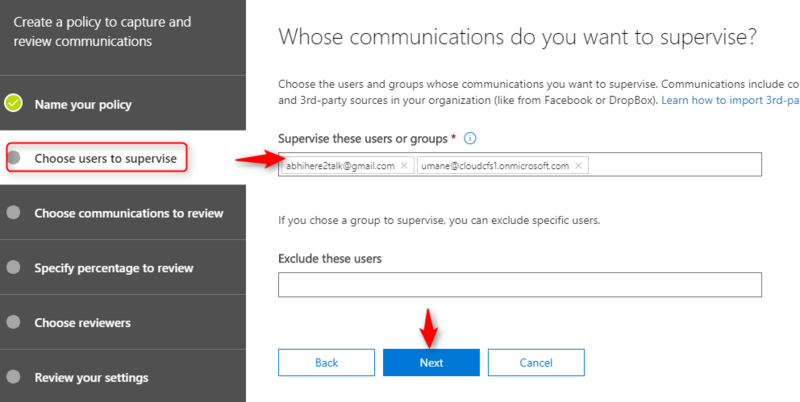 Choose users to supervise, here you can provide list of users or you can make Group in Office 365 and provide the Group name. If you provide Group, then you can exclude any user from Supervision by providing that user name under Exclude these users. Choose communications to review. If you want to scope the review further, click Add a condition. You can specify multiple conditions. Specify percentage to review. If you want to reduce the amount of content to review, specify a percentage. If you want reviewers to review all items, enter 100%. 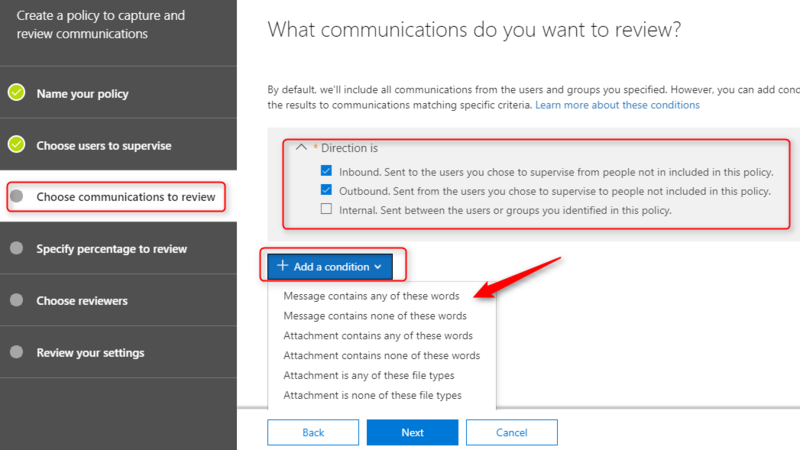 The users and groups you choose will use the Supervision app in Outlook web app to examine the communications that are returned by this policy. You can include email addresses for internal and external reviewers. 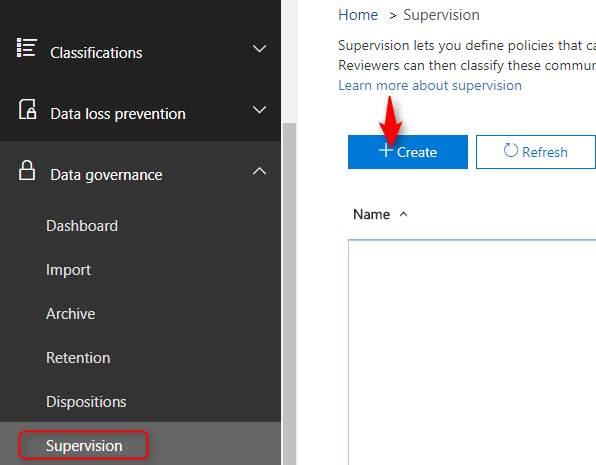 After you have completed all sections of Supervision policy, review your settings and click Finish. 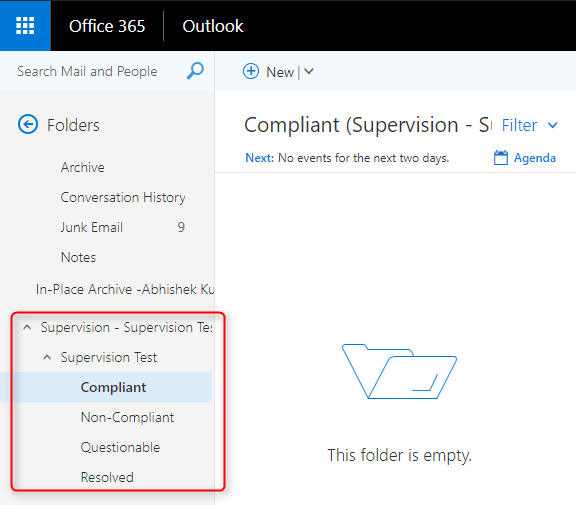 Reviewers will use the Supervision add-in for Outlook web app to review communications. 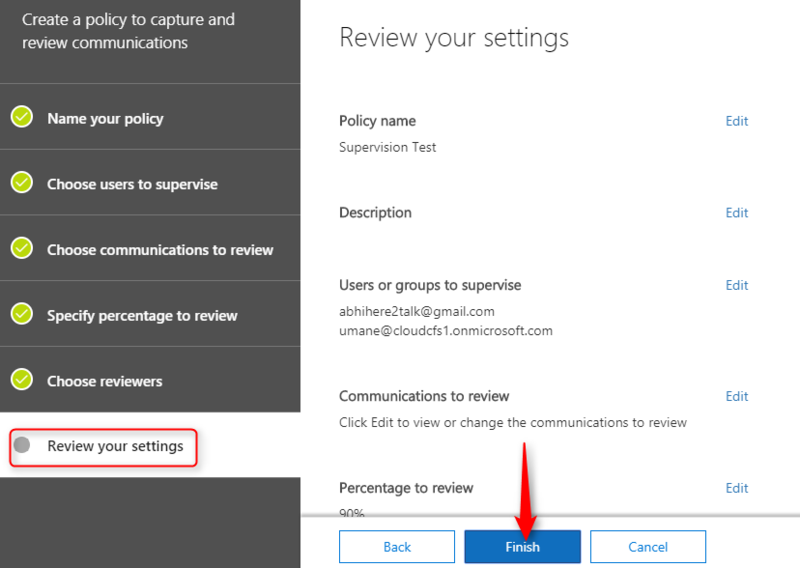 The add-in is installed automatically in Outlook web app for all reviewers you specified in the policy. It is good practice to create Supervision policy to capture email communication in your organization. When any content reaches the end of its retention period, there are many reasons that you might want to review that content. You might need to assign a different retention period, suspend the deletion, etc. 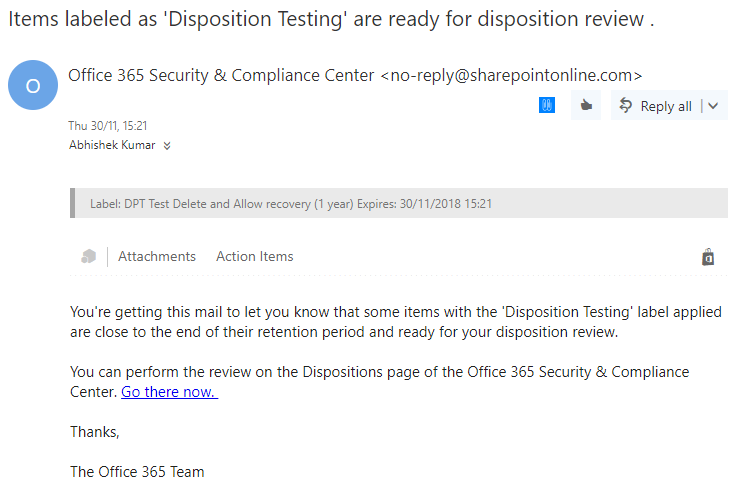 A disposition review includes only content in SharePoint sites, OneDrive accounts, and sites for Office 365 groups. Sign in with Office 365 credentials, go to Admin Center > Security & Compliance > Data Governance > Disposition. Reviewers must be the member of Disposition Management role and the View-only Audit Logs role. 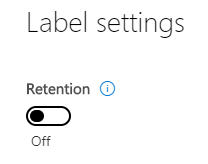 Disposition review option is only available when you create a Label with retention settings. This option is not available in a retention policy. 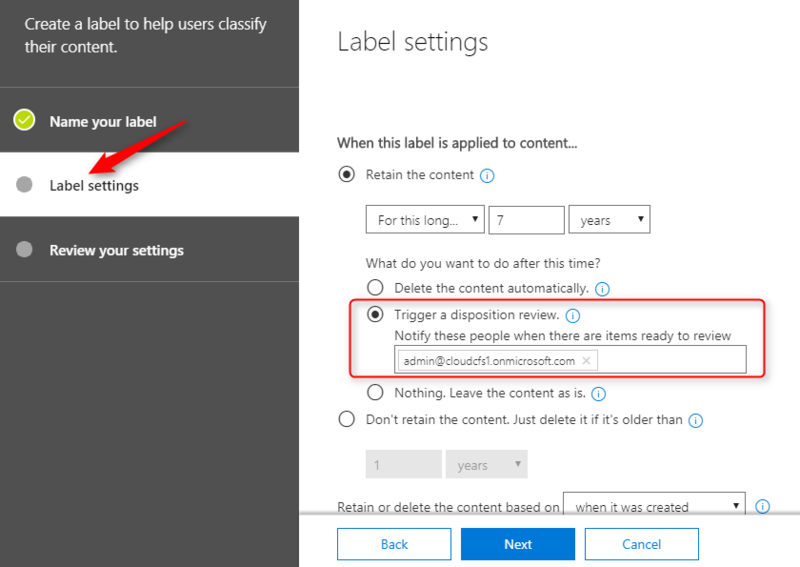 For creating a Label, navigate to Office 365 Security & Compliance, go to Classification > Labels. With Labels, you can classify data across your organization for governance, and enforce retention rules based on that classification. Switch toggle button to ON for applying Retention. Tick Trigger a Disposition review for setting up Disposition. When a content (to which this label is applied) reached retention period, a reviewer is notified by email that content is ready to review. A reviewer can then go to Disposition page and select one or more item. In addition, you can export the items in a .csv file that you can open in excel. It is important to review content when it reaches it’s retention period so if it requires you can assign different retention tag or label. Many of the organizations are using SharePoint Online in Office 365 as their content management system and it is essential to protect data so that the sensitive data does not slip into false hands. 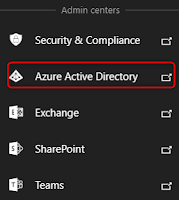 It is here we can use Multi-Factor Authentication and we can do this through Azure AD for that tenant by creating a Dynamics group for ‘External users’ and then create a conditional access policy and apply it to SharePoint Online. 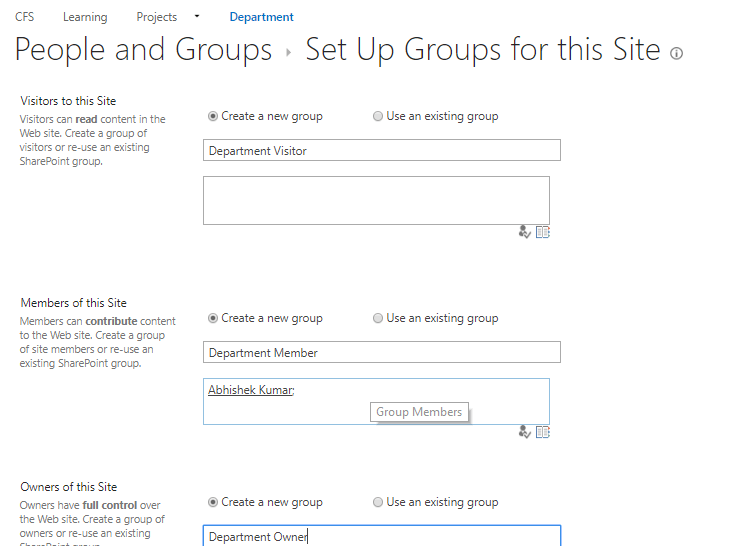 Login to Azure AD Portal and go to Azure AD > Users and Groups > All Groups and click New Group. 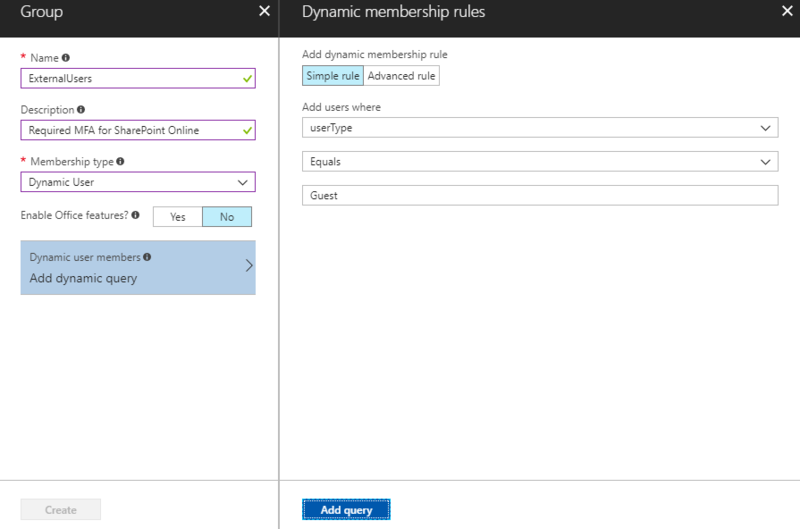 Provide a name and description to this group and select membership type (Dynamic User). 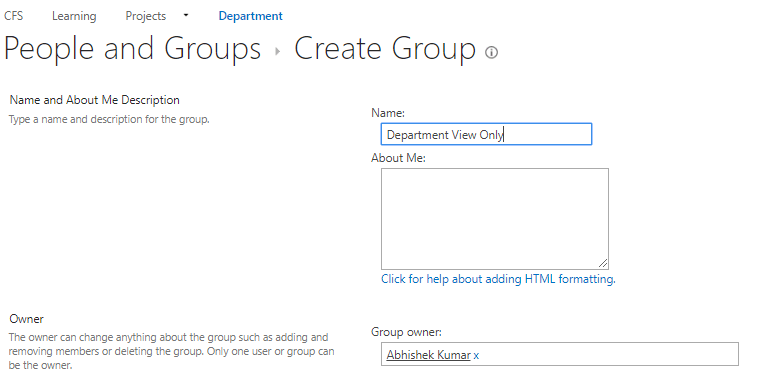 Click Add query -> Create to make the group dynamic. It will take some time for the group to populate. 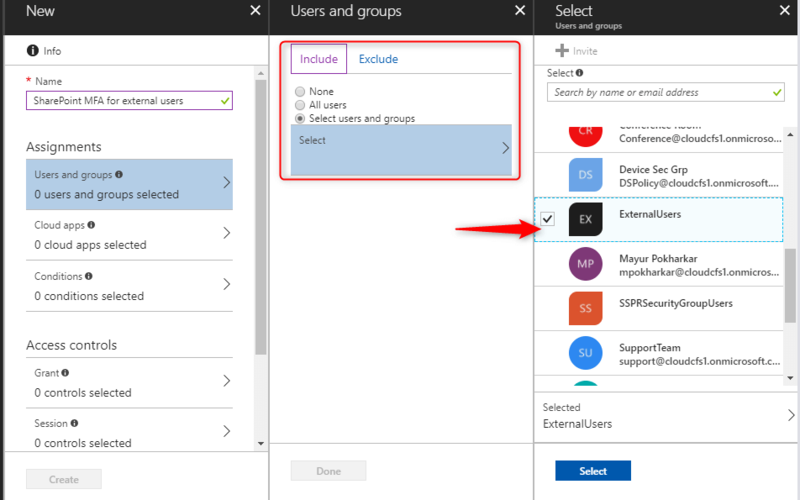 After Group is created, you need to provide Conditional access to this Group. 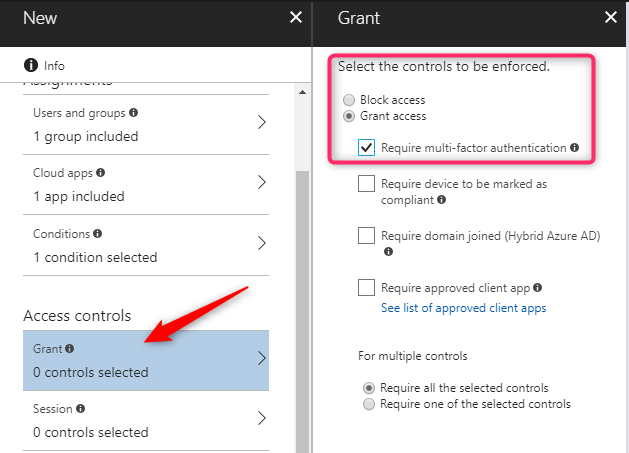 Login to Azure AD Portal, go to Enterprise Application > Conditional Access and click on New Policy. Provide the name to the policy. Under Assignment > Users and Groups, select Include > Select Users and groups > Select, and then chose the group whom you want to provide the policy (External users). 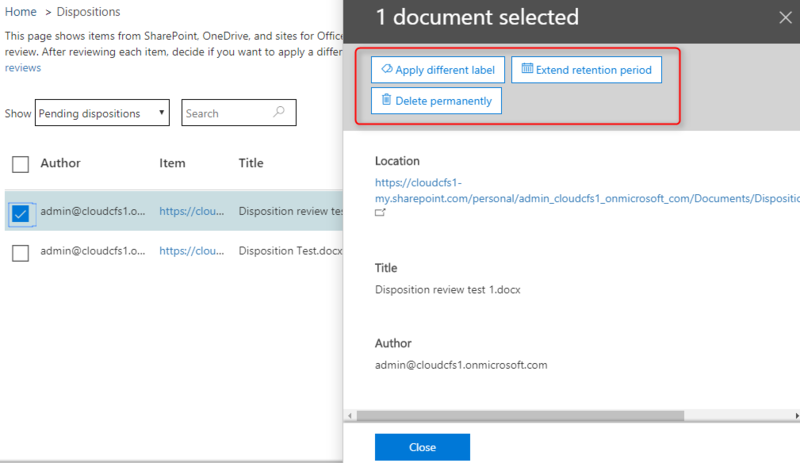 Under Assignment, go to Cloud Apps >Include > Select, and then choose the application (Office 365 SharePoint Application). Under Condition, select Condition if you want. Under Access Control, go to Grant and select Grant access and then choose Require multi-factor authentication. 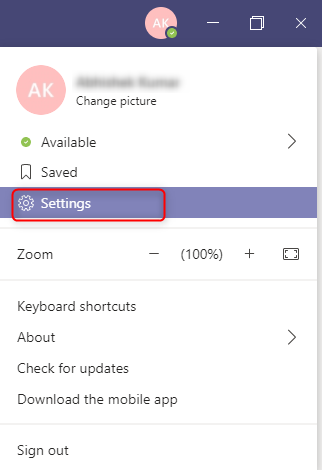 At last, toggle the Enable policy switch to ON and click Create. 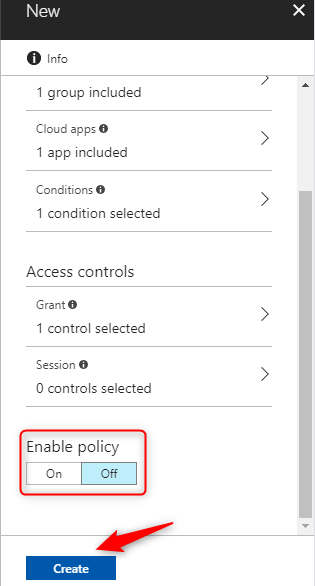 To verify if the policy is created, navigate to Conditional Access and check the policy name and if it is enabled. 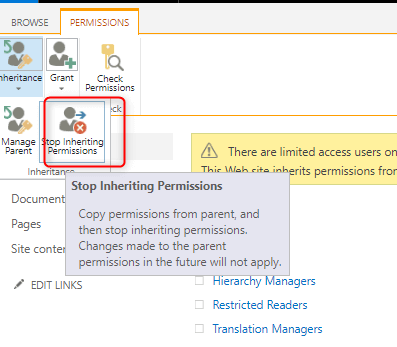 Wait for few minutes for the policy to take effect, after that you can check by sharing a document from SharePoint to an external user. It will ask for authentication (see below image). 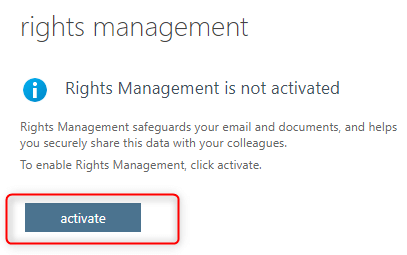 In this way, you can create a conditional access policy and protect the sensitive data in your SharePoint Online. Hope this will be useful.